Senior editor-in-chief Amelia Vanyo, sophomore photographer Laura Amador Toro and senior business manager Gracie Blackwell are seated at The Statler Hotel on Friday. The Dallas Morning News held its 27th annual Dallas Morning News High School Journalism Day and Competition , where The Sidekick placed third in the Best Newspaper contest. DALLAS – Once again, The Dallas Morning News has named The Sidekick as one of the area’s top high school publications. The new Dallas Morning News headquarters and neighboring The Statler Hotel was filled with a flurry of activity this morning as high school student journalists arrived for the 27th annual Dallas Morning News High School Journalism Day and Competition. In the Best Newspaper contest, The Sidekick received third place behind The Evergreen at Greenhill Academy in Addison and The ReMarker at St. Mark’s School of Texas in Dallas. 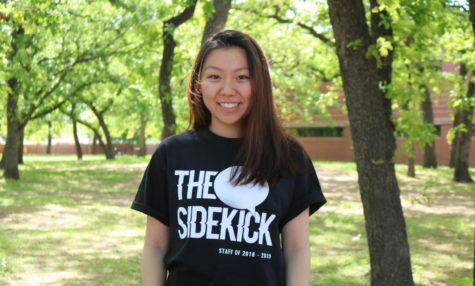 Sidekick senior editor-in-chief Amelia Vanyo was announced as one of five Dallas Morning News 2018 summer interns, marking the third consecutive summer a Sidekick editor has interned in the News’ newsroom. For The Sidekick, Vanyo (column), sophomore photographer Laura Amador Toro (feature photo), junior art and entertainment editor Kelly Wei (illustration/cartoon portfolio) and senior communications manager Sruthi Boppuri (design portfolio) all collected third place finishes. KCBY juniors Mercedes Hoyos and Maddie Hulcy placed second in the the video contest. Other nominated schools echoed similar sentiments. 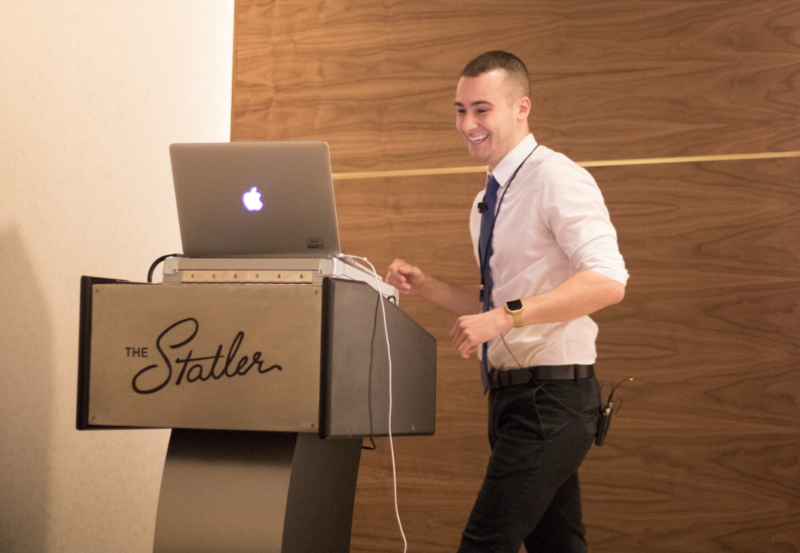 Dallas Morning News web producer Dom DiFurio presents advice and tips at his session “Cyberstalking for Journalists: Using Social Media for Reporting”. This morning, The Dallas Morning News held the 27th annual High School Journalism Day and Competition. 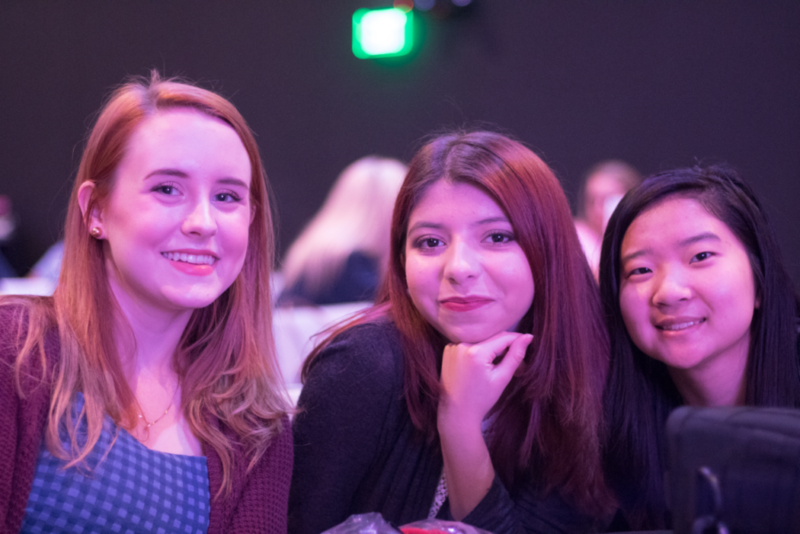 The event provides a valuable opportunity for student journalists to not only receive recognition for the work they have put into their programs all year, but gain insight into the professional industry through presentations and speaker panels as well. Opening with speeches from Dallas Morning News digital entertainment editor Sarah Blaskovich and Publisher and President Grant Moise, students went on to attend three presentational sessions before reconvening for the award and internship announcements. The annual event aims to continue to inspire young journalists in a dynamic era of changing news landscapes and rapid digitalization, where the need for talented reporters is stronger than ever. Good job. Hopefully whoever said that quote about sidekick not getting awards is satisfied now.